A pocket pal of fun surprises - that’s Bobtail Bunny Pink Rattle! 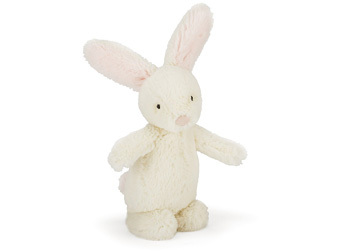 This double-cream bunny has secret pink ears, pink fluff for her tail and a little bell in her soft, squishy tummy! Perfect for Baby to grab and play with.